Register Log In GliderCENTRAL Forums Behavior & Anatomy why wouldn't she play? 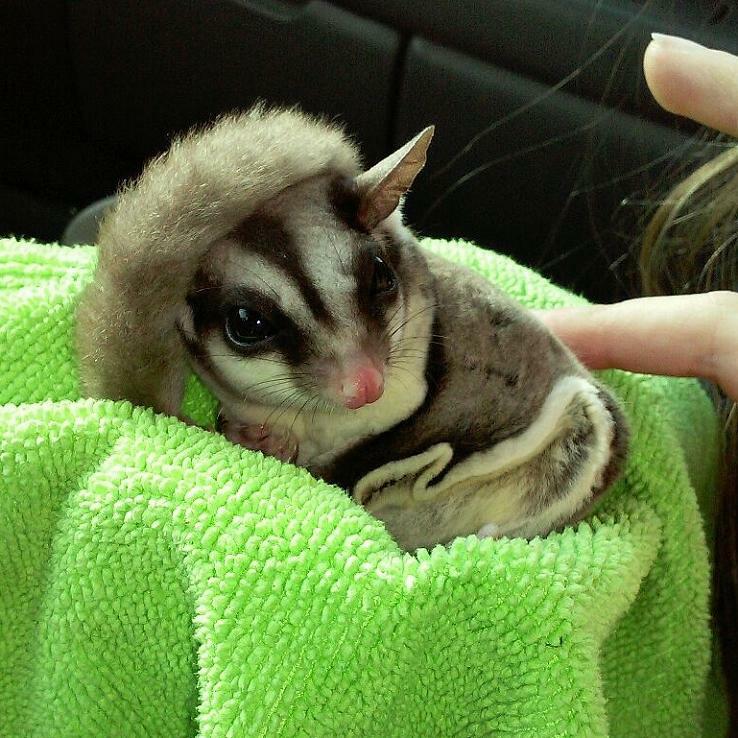 New to this Sugar Glider World and loving every second of it. Sometimes a bigger play area is scary to them. If you get one of those popup screen tents for her to play in you may find that once she is comfortable in there she will play. I agree, in that situation, she could have been overwhelmed by the size of the room as well. If you can't get a tent now, take some of her toys that has her scent on it and place it near to where you are sitting. If this is going to be a good spot for you to take her for out of cage play, continuing on a regular bases could get her more used to that space and she'll start to venture out a bit more each time. When I first had gotten my gliders, I had a fairly small bathroom I could take them to, and they got used to it pretty quickly, having a good time in there. I hadn't been able to take them to a bathroom for out of cage play for over a year. I now do again, and the bathroom is maybe 2x the size I used to have. It took them a few times to get used to the new surroundings. They hung on me and groomed me for the most part of the first two times they were in there before venturing around to explore. Now they're all over the place. They still start out grooming me for a bit, then it's down to one still grooming me (either Ollie or Skadoosh) and two will be off looking for what they can get into, lol. Eventually all three are all about exploration, climbing and jumping. I meant to tell you, her cage looks nice! Last edited by Terry; 03/28/15 12:43 PM. What is the lighting in the room? Most gliders will not actively play unless the room is quite dark. If you can darken the room and just have either a night light or the light from a small TV or Computer screen to light the room just enough for you to keep an eye on her it is more likely that she will be playful.